KEEP BABY HEALTHY AND HAPPY: Track Your Baby’s Heart Rate, Oxygen Levels and Sleep using clinically-proven pulse oximetry, and be notified if something appears to be wrong. WORRY LESS AND SLEEP BETTER: The Smart Sock connects to a base station that glows green letting you know everything is okay, but uses lights, sounds and app notifications if heart rate or oxygen levels are too high or too low. Parents can sleep better and have less anxiety knowing they’ll be made aware if levels go outside of preset zones. As parents, we be mindful the stress and worry that comes with having an infant. That’s why we invented the Owlet Smart Sock to watch over your baby at the same time as they sleep. 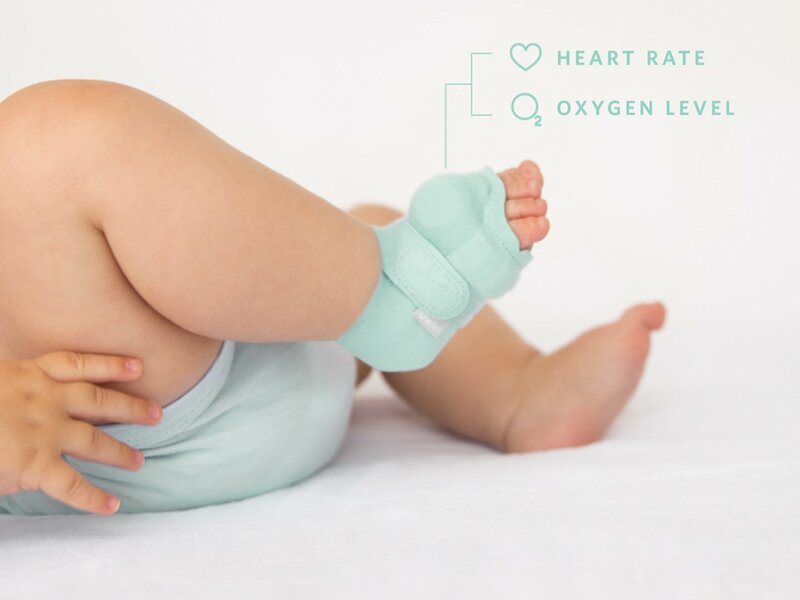 The Owlet Smart Sock 2 baby monitor uses clinically-proven technology to track your infant’s heart rate and oxygen levels. 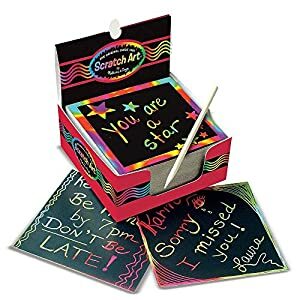 The Smart Sock sends this information to a base station which is designed to notify you with lights and sounds if something seems to be mistaken. The use of Owlet’s app, you’ll be able to view real-time wellness data and receive direct notifications on your phone. KEEP BABY HEALTHY AND HAPPY: Track Your Baby’s Heart Rate, Oxygen Levels and Sleep The use of clinically-proven pulse oximetry, and be notified if something seems to be mistaken. WORRY LESS AND SLEEP BETTER: The Smart Sock connects to a base station that glows green letting you know everything is okay, but uses lights, sounds and app notifications if heart rate or oxygen levels are too high or too low. Parents can sleep better and have less anxiety knowing they will be made aware if levels go outside of preset zones. 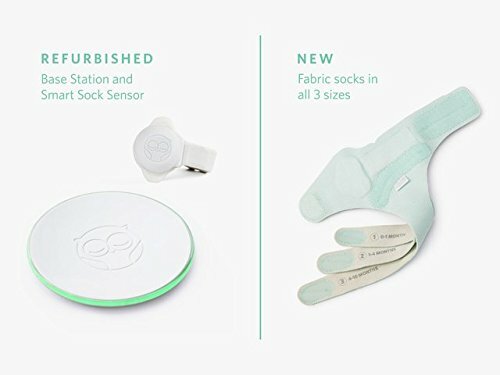 CONVENIENT, EASY-TO-USE: Each unit includes 3 washable socks that comfortably wrap around the baby’s foot and connect to a base station up to 100 ft. away The use of Bluetooth. Socks fit most infants from 0-18 months or 6-25 pounds and must be hand washed ceaselessly and alternated from right to left foot each night. 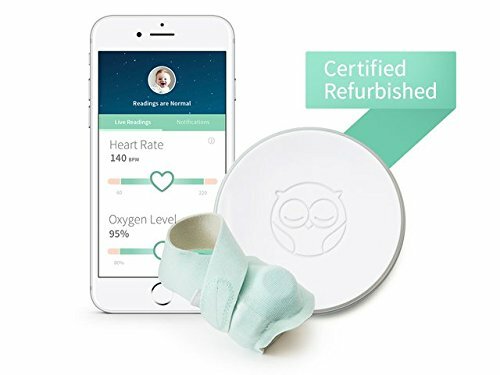 SMART PHONE APP: See real-time and trended heart rate, oxygen levels and sleep data on multiple phones The use of Owlet’s cloud-connected app. View all red alert notifications, analyze heart rate and oxygen highs and lows, and share reports and summaries with family, friends or doctor. Free iOS & Android apps available. OUR PROMISE TO YOU: Adore it or return within 45 days for a full refund.